Do you have a question about childcare? Do you think you have what it takes to be a good mother? 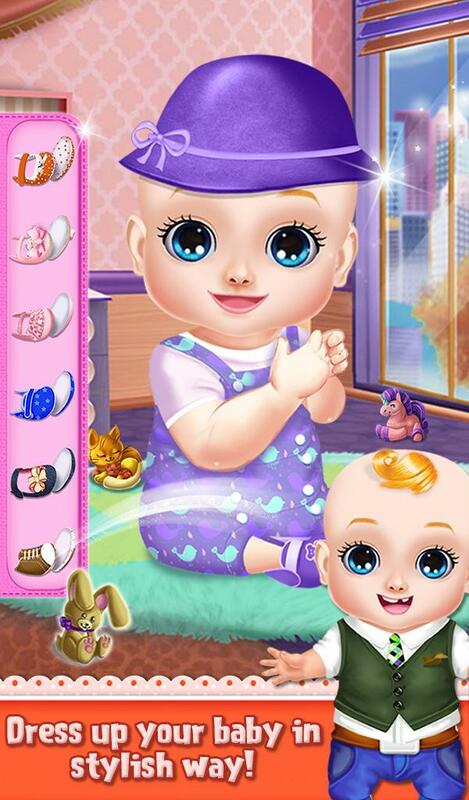 Here with Sweet baby girls super mom game, you will get to learn all kinds of new stuff about caring. In this game, we included 30 mini games for you. Each game is very entertaining and kids love to play it. Touch the screen and enjoy your favorite baby activities like shopping, find toys in pairs, dress up the baby for winter, pick the objects and much more. Here super mom gets tired so push her in the right direction to help her out. Sweet baby girls super mom is the perfect game for kids who have a little sister or brother. Play and enjoy this totally new concept of Gameiva game and share with your friends.